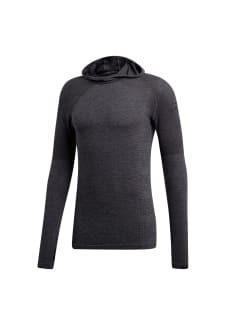 A lightweight layer for everyday runs, this t-shirt is made of sweat-wicking fabric that helps you stay dry and comfortable. 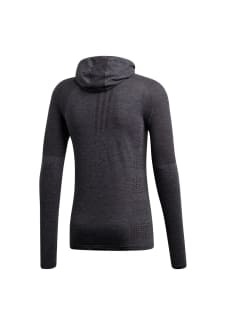 The hood and the thumbholes at the cuffs provide extra coverage. REGULAR FIT IS MOST COMMON FIT WE USE IN RUNNING. FITS THE CONTOUR OF THE BODY.